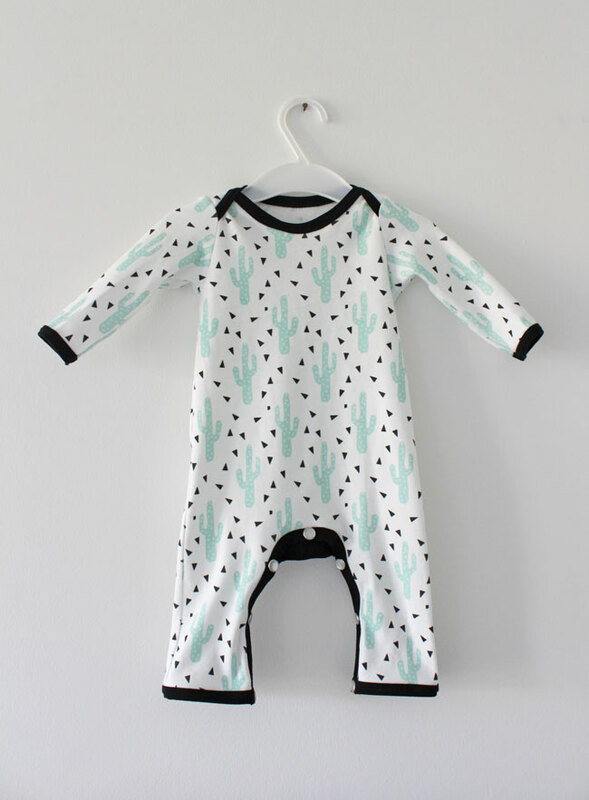 And of course that also meant I had to go on a fabric spending spree :) The bunnies and eyelashes jersey is from Maud's Fabric Finds, and the cactus print from Spoonflower. 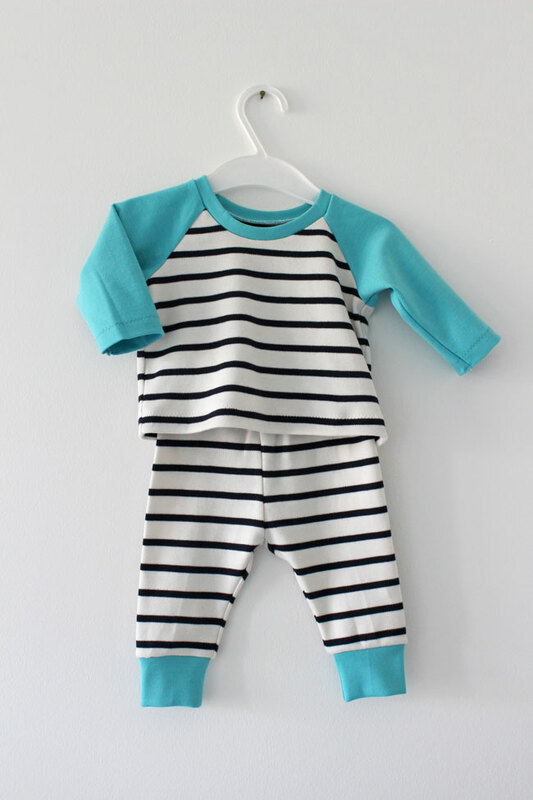 What's great about this one piece babygrow pattern is that it's so quick to make. I really like the lapped neckline, which makes it easy to pull on and off. If I make it again, I'd widen the sleeves a little as they're a little tight to get on when my baby is wearing a vest underneath (which is most of the time at the moment as it's cold in London). It would be even better if it had feet on it too, as socks are always falling off my little one's feet (why is that?). The step that took the longest was attaching the snap fastenings. 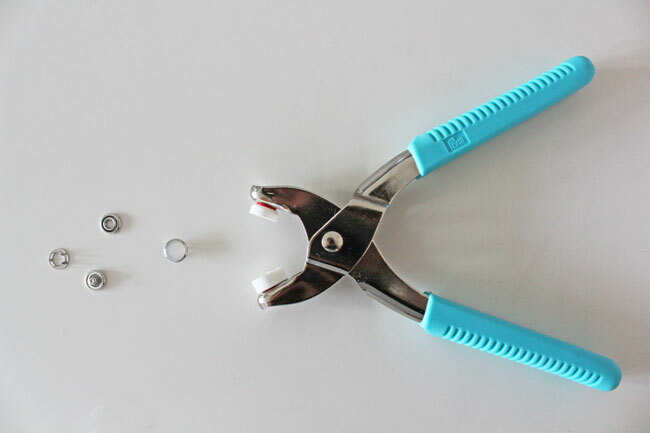 I bought myself a special set of Prym pliers for the job, which certainly helped. It took me a few goes to get my head around which bit of the fastening goes on which layer, and I accidentally attached them the wrong way round to the bunnies version - oops! It's quite fun putting them on once you know how though. 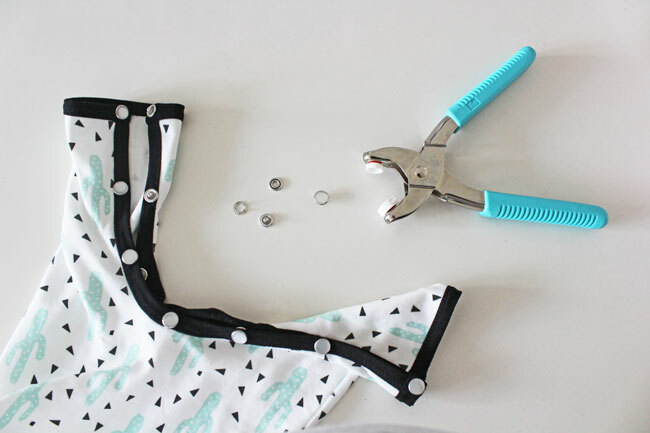 If you make this pattern, take extra care when attaching fastenings to the bottom corners of the leg hems, as it's quite hard to get them through the multiple layers of fabric, and you'll of course need them to be secure next to your baby's skin. 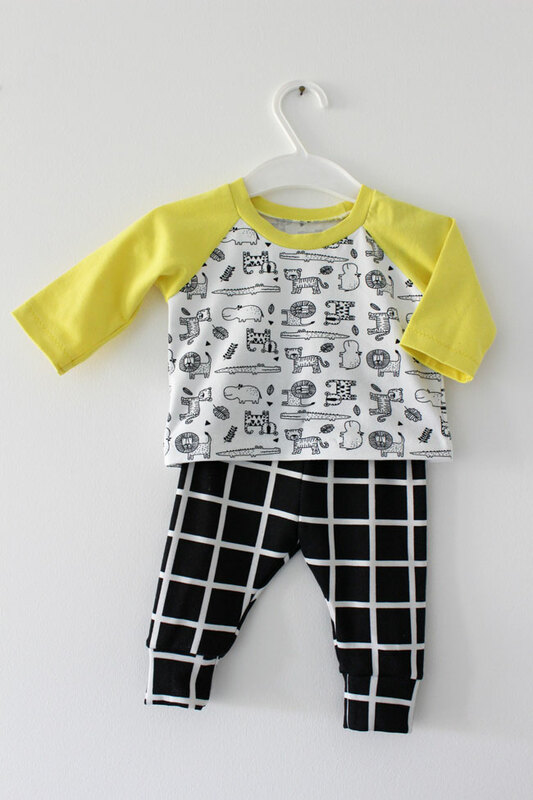 The raglan tee and cuff leggings are even quicker to make - particularly if you set up a little production line, as I did! I decided to widen the neckline as it looked really tight and I was worried about getting it over a baby's head. I was probably being overly cautious though, and would stick with the original neckline as long as the neckband is significantly stretchy. 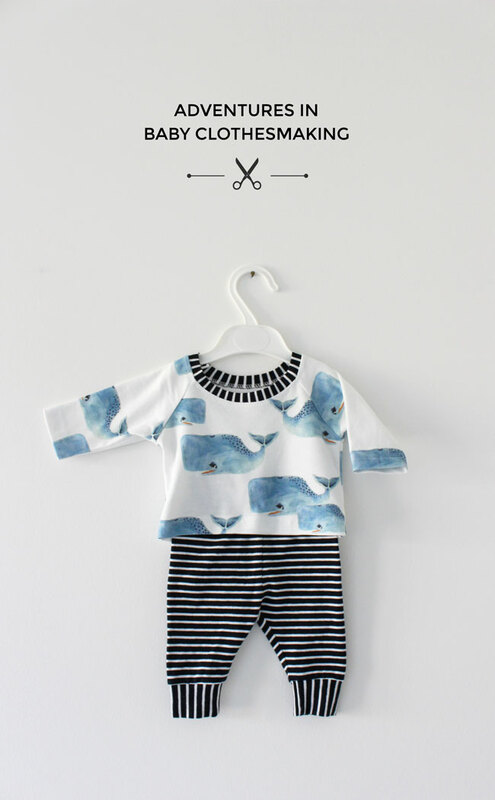 The whale print fabric is from Spoonflower and the navy stripe jersey from Dragonfly Fabrics. 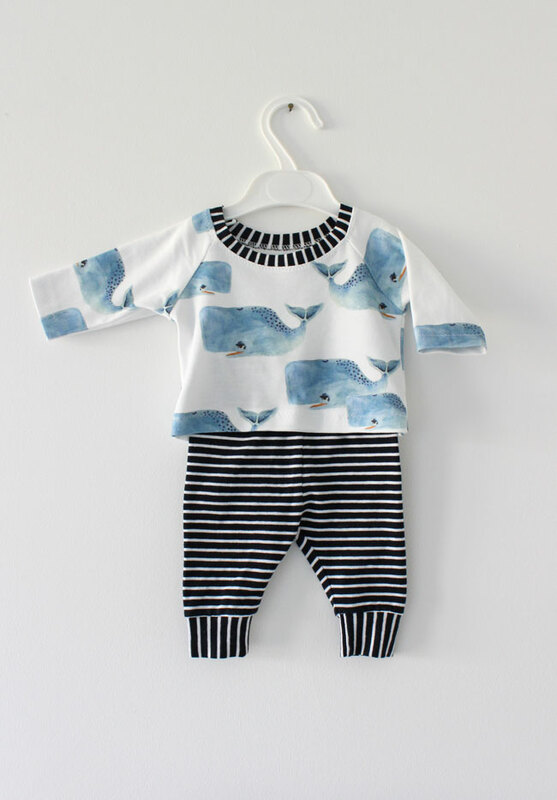 I was particularly excited about this set as I have a thing about whales and stripes. The yellow sleeve tee is yet to be worn, to be honest. It seemed like a good idea at the time, in my pregnancy hormone induced state, but now seems a bit too jazzy! The black windowpane leggings get worn all the time though - they look super sharp with a plain white vest. 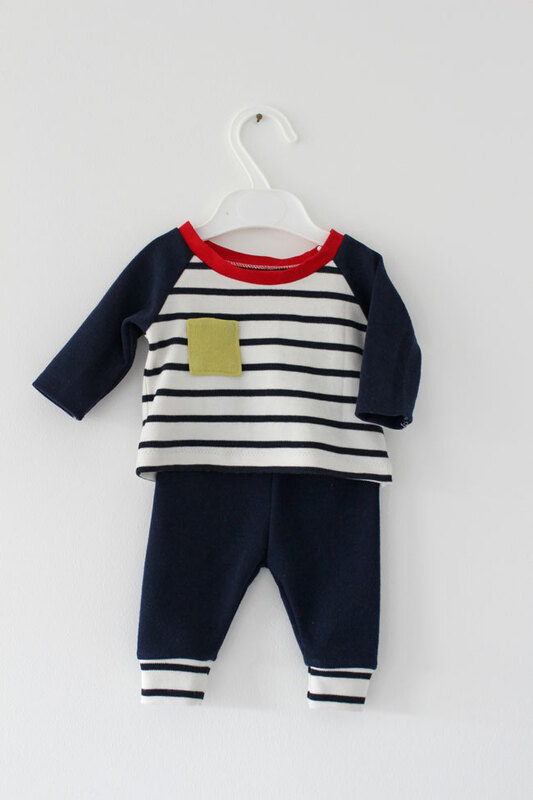 Last but not least, I made a couple of Breton stripe sets - naturally! The outfit with the turquoise cuffs is my favourite - my little boy looks absolutely adorable in it (I'm not biased, honest). These were made with leftover scraps of ponte roma from my fabric stash. That's one of the great things about making baby clothes - they need so little fabric, so are great for stash busting. 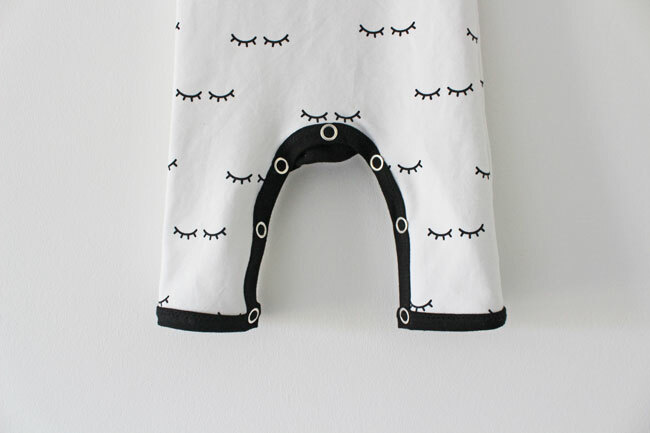 If my little one ever decides to get into napping (hehe), I'd love to make some more baby clothes in future. Do you have any pattern recommendations for boys? Please share in the comments, I'd love to know!